Alex has written extensively for trade magazines, radio, television, books and publications worldwide. You may have seen him recently on the BBC show, The Great British Sewing Bee. The story of Isaac Merritt Singer is straight out of American folklore. Isaac ran away from a troubled home to a carnival that was passing through his town. From living on his wits Isaac became one of the wealthiest men of his era, long before the great men of American history like Carnegie, Ford and Rockefeller. Isaac's story is one of wars and women, in his will he named over 20 of his children and made each one rich beyond their wildest dreams. Isaac Singer wrote his own history in his unique style and when he died as an old man he was married to the most beautiful woman in Europe, 30 years his junior (cover picture). Isaac's inventions helped kick start the greatest industrial growth that America had ever seen and made it into the first world super power. His techniques, salesmanship and entrepreneurial skill brought jobs to millions of people world wide and made Singer a household name. What a man! When I first started, as a child growing up in the sewing industry, to hear stories about Isaac Singer I was enthralled. He had lived the American dream. A true rags to riches story, then it all went wrong. But in a final twist between wars and wives Isaac Singer found peace. He also founded a dynasty that continues to this day. Out of all the sewing machine pioneers that I have written about over the last decades Isaac Singer's life stands out as simply astounding. Imagine a spiders web that stretches across the globe and in its centre is one man. That man is Isaac Merritt Singer. They say a few men are touched by fire in their lives, Isaac was one of these men. From the day he was born until the day he died he was a man that stood head and shoulders above the crowd, and not only because he was over six foot five! Although Isaac Merritt Singer claimed to his dying day that he had invented the first proper sewing machine, he did and did not. What the genius did was to take the best of what had existed at the time and make something better, the first practical sewing machine of the age. He also invented a mechanical digging machine for rock excavation, a rock drilling machine, a wood carving and cutting machine and a printers type letter cutting machine and patented dozens of improvements to sewing machines. With his best creation, his sewing machine, he and his hand-picked men, promoted it with such an astounding flare and capability that it became the number one of its kind in the world. Marketing experts today would do well to examine Singer's methods as they were simply the best. From destroying any opposition to mass give-a-ways and beautiful models, Isaac used every tactic possible to promote his machines. Let me tell you about the man who became a household name, some say known by more people around the world than Jesus. Isaac Singer was an extraordinary and complicated man. He grew from a penniless cunning and devious street-wise kid, living on his wits, to one of the richest men in the world. His character also changed from cold-blooded and ruthless in his youth, to a cheerful old benefactor throwing children's parties in his old age. When Isaac Singer died the public read the papers in disbelief, with open-mouths and with bulging eyes. How could it be possible that one man who had come from nothing, begging on the streets, died one of the richest men in the entire world? And his children! In his will Isaac took the time to name 24 of them by various wives and mistresses, leaving them all sizable trusts that made them rich. Isaac's fortune was so vast that it lasted for five generations before it finally trickled away. There is also little doubt that he fathered a host of other children and many of his siblings later set Europe ablaze with publicity, scandal and a little intrigue. Isaac Singer distinguished as ever, shown here later in life as one of the world's richest men. This picture was donated by Singers to the Smithsonian. It shows Isaac in his favourite smoking jacket. His children loved him wearing it at their palace, Oldway in Paignton, England, as they said it made him look like Father Christmas. He had a touch of red in his hair, was well over six feet tall, had hypnotic eyes, and was totally irresistible to women. Kathy McGraw DiPaolo Wonderful read! I read your book in one day! Love it. Thanks so much for writing it and teaching us so much. Reading this book is like sitting across from the author, sipping tea, and listening to take tales of days gone by instead of reading a dryly written history book. It is filled with struggle, corporate take overs, and illicit affairs resulting in a product I could never do without. Interesting to read so much about the man who brought the sewing machine to millions of people. 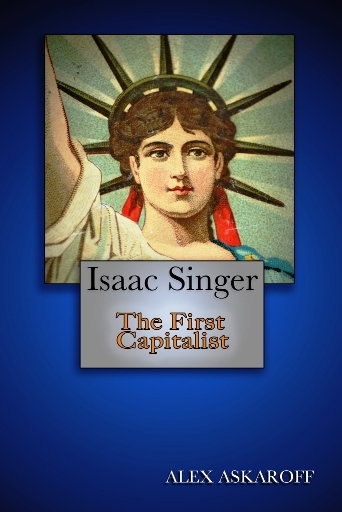 I just received my copy of the new book, Isaac Singer: The First Capitalist, It's wonderful! Thank you for writing the history of this interesting man. Karolyn Nubin Jensen Alex Askaroff...I got my copy from you...I live in Arizona...I have been enjoying reading it...I love your style of writing and I am amazed at the life of Mr. Singer. Great job! 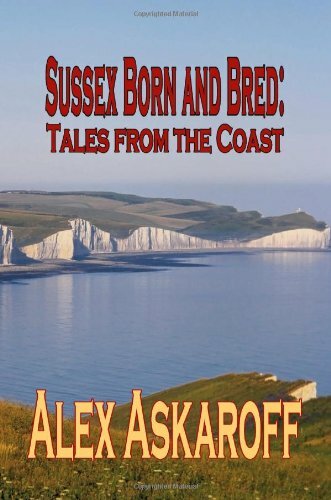 The long awaited book from the amazing author Alex Askaroff - The First Capitalist - Isaac Singer. What a book and what a cover - the millions and millions of Americans to whom the Singer Sewing Machine has been a household name for so long will doubtless be racing to the bookstore to purchase a copy of this totally gripping history of the iconic Isaac Singer. It is only a matter of time before a movie will be made of this. How incredible that Alex Askaroff has spent 30 years of his life gathering all this information. It is the must have read for 2014 and what a xmas gift from Santa to pop into the eagerly waiting Christmas stockings. Fast shipping and a good read! I had read much about Singer, but this book went into greater depth about the man himself, and his family. Very interesting!!! Good pictures, too. Great book from a great author. Interesting read about singer and his life. Very much rated author. Hi Alex I am a volunteer for the Clark Foundation. Congratulations on such a wonderful account of Mr Singer. Great book. Thank you for writing this story…and in such a clever way. It makes me value my seven Singer machines even more. Hi, I just wanted to say a big thank you, I really loved your Singer history, thank you for communicating your knowledge and skill. Just a quick note to tell you how much I enjoyed reading your new book on Singer and to let you know I received it in Alabama on Dec 6th.The Great Grandson of Isaac, (Paris' Grandson) is buried in this area. Francis Merritt Singer, I actually stumbled across his grave quite by chance while strolling in a local cemetery. Thank you for all of the research. Shelly Garno Your book is excellent! Received my copy in Michigan USA! Kathy McGraw DiPaolo A very interesting read. It gives me much more appreciation for my sewing machines. Kathleen Dunnigan I received mine in Louisiana and am enjoying it immensely. Very well written. Thank you so much. 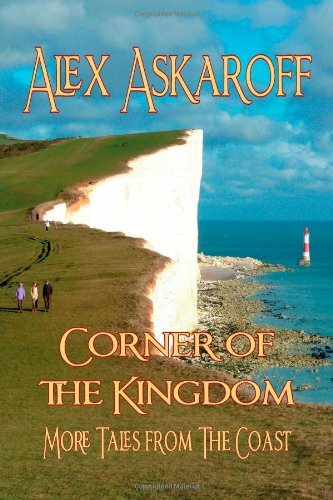 Shelly Garno Alex, I really love the book and you are a talented writer. Isaac Singer was my great grandfathers brother. I Enjoyed reading your story about I. M. Singer. I Have read others, but yours is so much more in depth. Thank you for the story of Isaac Singer. into the arm of it as a kid. Thanks for the very interesting history lesson. I love your information about Singer and the story about the man behind the machine. I read your history of the Singer family. Incredible! My mother's dad was from Alsace Lorraine, with the last name of "Boyer." Since Isabella's father was South African, is it assumed that her father was White but was he? It would be great, to know if she was possibly Biracial, i.e. South African Black and French. Although, in those days, you'd think everyone would have been aghast. But, you never know, as we are all mixed, when it comes down to it. Thank you so much for your fascinating information about Singer. You kept me up last night reading your Singer story I love your writing style. Very interesting, and very indicative of the "rich and famous" of the time. They had a "if you've got it, flaunt it" attitude about money back then. I don't write to many people when I read their sites, but your writing style is so dear to my heart that I just have to let you know. Your story is just fascinating, and so well written. I also so much appreciated the many photos you included. Thank you so much for doing all that work and for generously sharing it with us. I don't think there is anyone in history quite like Issac Singer! My great-aunt was May Bourne Strassburger, she was the eldest daughter of Frederick Gilbert Bourne, President after GRM. I’m always fascinated by Singer stories. So I married a singer descendant. She always talked about being an heiress. BTW I Have seen a photograph of her great great grandfather with Kaiser Whilhem. I discovered your beautiful website today, your illustrations took my breath away! My husband was the 2nd great grandson of George Ross Mackenzie. Thank you so much for your informative website. I read every word about Isaac Singer and loved every minute of it. What an amazing man Isaac was. My name is Sonia McNulty (nee Anthonisz). I was so pleased to find your interesting book on Isaac Singer. My Cousin Edith Anthonisz was married to Fred Singer, who took over his (I think Grandfathers? empire). Thank you for taking such valuable time of your own to produce this fabulous work, and I hope a Film Director will reward you by turning this into an unbelievable film. So when's the movie of Issac's life? Oh my!! I've always been interested in this family's history, just purchasing my first Singer antique...a 1947 model 15-90. I lived many years in the city of Glendora, CA (near Pasadena) that is home to a Singer mansion or two. They even have underground tunnels between them to evade the public. Anyway, very interesting read. I had no idea!!! 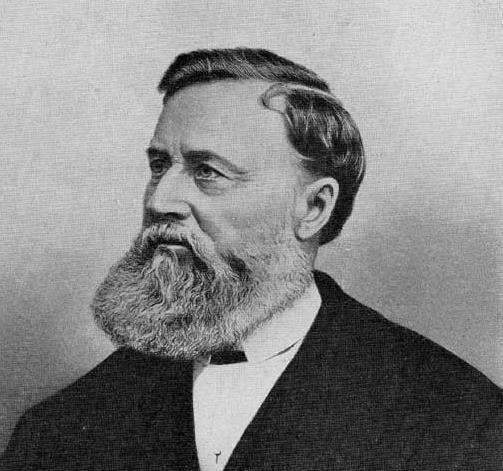 I Enjoyed your wonderfully researched and composed story about my third-great grandfather Isaac Merritt Singer. My great grandfather was Mortimer Merritt Singer, son of Isaac Augustus (son of Mary Sponsler). I remember visiting my great-grandfather when I was about 5 years old, when he lived in the upstairs apartment of the Rye Country Club near NYC, in his early 90s. He would give me a quarter for achieving a “cat” game in tic-tac-toe! Mortimer Merritt had two daughters, Elizabeth Singer and Katherine Singer. Elizabeth was a rampant liberal, champion golfer and tennis player, and graduated from Smith College, before marrying my grandfather, Herbert DeRieux Lancaster (from the Lancaster banking family in New York City, previously Richmond, VA, and also descended from the Plumard de Rieux family, a branch connected with the court at Versailles that immigrated to Virginia with Phillip Mazzei in the mid-1700s). Elizabeth had two children, my father John Singer Lancaster (1927) and his sister Dr. Mary Jane Lancaster (1931). My aunt Jane is an unusually strong character, obtaining her Ph.D. in geology from Columbia in the 1950s, serving as Associate Professor of Geography at Boston University for many years, where as a private airplane pilot she was an early expert in remote sensing with aerial photography, and she’s still playing tennis and skiing at age 82! The Singer fortune lasted about 5 generations, pretty much disappearing with my father’s and my aunt’s generation. My grandmother, Elizabeth, favored communist philosophy as a deep rejection of the extremely wealthy capitalist upbringing she experienced. My father, having the advantage of a major in philosophy at Yale, retired to the life of a hermit in rural Vermont!! Thanks again for your fine and colorful essay! I just finished reading your story about Isaac Singer, the company and the Singer family. A really fascinating life and groundbreaking company in so many ways. I could definitely see a PBS series on Singer (much like the series on Selfridges, which has been playing here in the U.S.). Thank you so much for sharing all your research and knowledge.